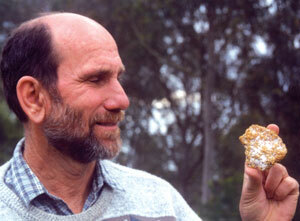 Jack Lange holding gold-bearing quartz. Most people would be surprised to learn that smooth water-worn gold nuggets are frequently found not only in rivers and streams but on hills and even mountain tops. For example, several years ago, while prospecting on Cape York Peninsula in Northern Queensland, my brother and I detected about 30 nuggets on a hillside and even on the top of the hill. The nuggets ranged from two grams to over an ounce and were all at least partly smooth. The water-worn nuggets were intermingled with partly smoothed rocks from the size of marbles to a pumpkin.1 Many prospectors wonder how these high-country nuggets became so smooth, but to me it is explained by the world-wide Flood described in the Bible. Secular geologists may explain that the gold-bearing wash is due to an ancient river bed upheaval. The problem with that theory is that rocks and gravel found in river beds today are generally totally smooth. So we would expect that rocks found in the supposed ‘ancient river beds’ would be very smooth also. Mostly however, they are only partly smooth or water worn, as if they have been tumbled along by water movement for a very limited time. This is better explained by the action of the Flood. 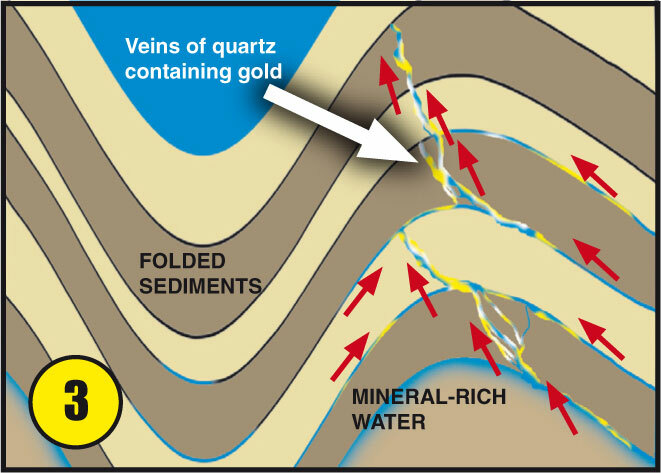 Gold is found in quartz veins that formed when the host rock fractured (see box). Serious prospectors know that most gold mined today, at some stage, has come from where these gold-bearing quartz veins outcrop at the surface—from quartz reefs. In fact, most nuggets that I have found (and I have found thousands all over Australia), when first unearthed, have quartz attached to them. As the floodwaters were receding, the reefs were pummeled and eroded, and chunks of gold-bearing quartz broke away.2 Some of the gold still remains trapped inside these quartz specimens, and this is often located with metal detectors. Nuggets formed when the gold broke free from the quartz as it was tumbled about. If these nuggets were moved about sufficiently to become at least partly smooth, then they are categorized as alluvial gold. However if the nuggets are found close to their reef source they are usually jagged and angular, and are categorized as elluvial gold. Any gold that broke free during the Flood would have had months to roll about and become very smooth. Gold that is only slightly smooth on the edges would have broken off during the last stages of the Flood or been tumbled by the movement of the surface sediments since the Flood. My understanding of the biblical Flood and how its massive forces disseminated gold nuggets further from their reef source than commonly thought has helped me become a successful prospector. 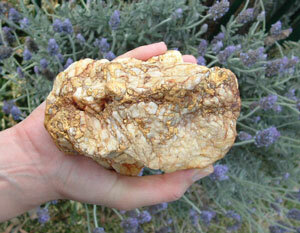 It’s a fascinating experience to dig a smooth gold nugget out of its ancient resting place and ponder its history. Gold was known before the Flood. The Bible describes the land of Havilah as a place ‘where there was gold’ and that ‘the gold of that land is good’ (Genesis 2:11–12). 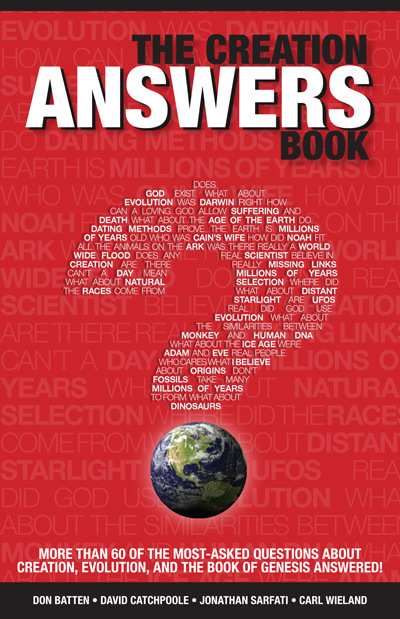 Most of the gold produced during Creation Week was probably buried in the Flood. Gold also formed during Noah’s Flood. 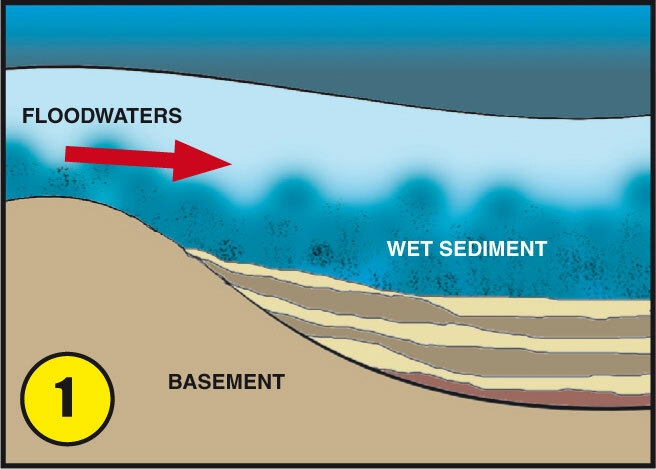 In the first half of the Flood, floodwaters increased on the earth and dumped thick deposits of sediment. Water still trapped in the sediment was under pressure, contained many aggressive chemicals, and dissolved lots of minerals. 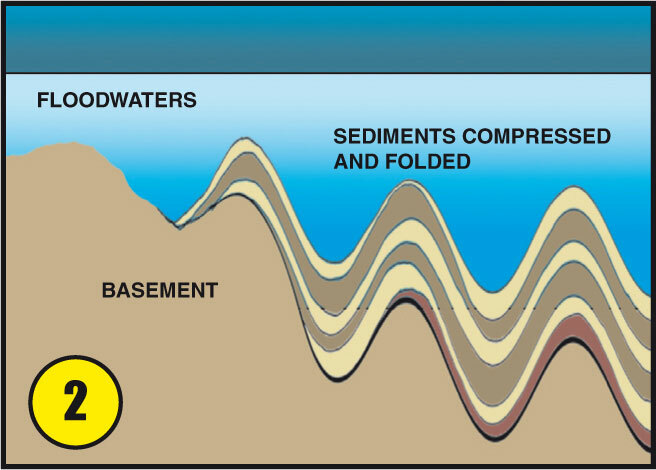 Huge earth movements during the Flood folded the sediments, often producing metamorphic rock. The water squeezed through cracks in the rock, depositing quartz and other minerals such as gold, silver, copper, zinc and lead. These mineral-rich quartz veins are called ‘reefs’. In the second half of the Flood, receding floodwaters eroded the land. 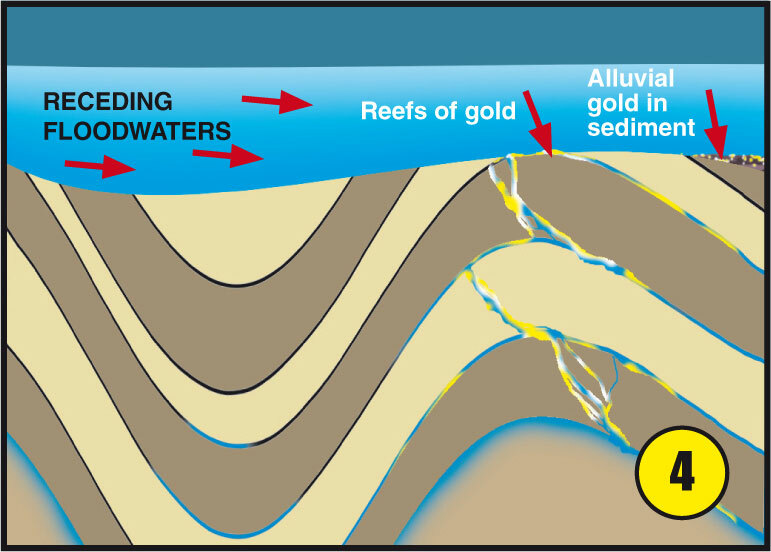 Gold from the reefs concentrated in alluvial deposits. See Hergenrather, H., Noah’s long distance travelers, Creation 28(3):30–32, 2006. Return to text. Lalomov, A.V. 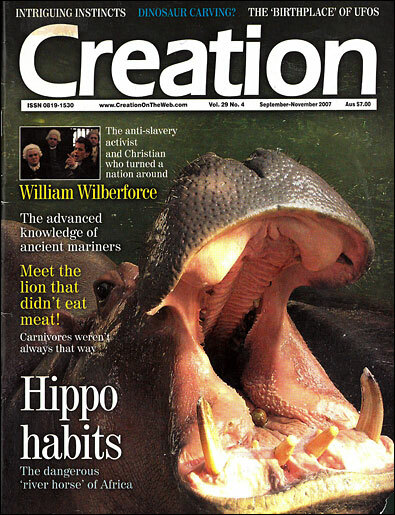 and Tabolitch, S.E., Gold placers in Earth history, Journal of Creation 11(3):330–334, 1997. Return to text.